A good quality shaving or cosmetic mirror is about as essential as the shaving kit or makeup brush you use as part of your morning routine. 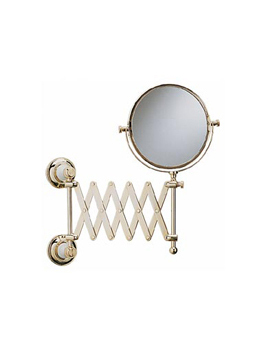 Fixed wall mirrors are brilliant too, but they don’t give the magnification required for such a delicate job. With extendable arms and powerful magnification you can reach that errant hair or add even finer detail to your makeup with ease. Flexible and stylish, they remain a much needed accessory in the modern bathroom available with illuminated or non-illuminated Cosmetic Mirrors.